Dragonplate can support your company with custom carbon fiber components and sub-assemblies. Contact us today for a custom quote. Element6 specializes in the design, analysis, protyping and manufacturing of carbon fiber composites. See how we can help with your next project. Learn more at our website. DragonPlate has been CNC machining carbon fiber parts for our customers for 8 years. Parts have included radar components for the Department of Defense, racing parts for Ducati super bikes and more. DragonPlate is the tradename for our Engineered Carbon Fiber Composites. DragonPlate carbon fiber composites are strong, light and beautiful. DragonPlate carbon fiber materials are designed for use in constructing high performance structures and are easy to cut, drill and assemble. DragonPlate also offers engineering/design and custom fabrication through our CNC Service for your unique carbon fiber part. Contact us with your special needs, we can help. Why deal with an ISO9001 certified company? ISO9001 is a set of standards for quality management systems that is accepted around the world. When you purchase a product or service from an organization that is registered to the ISO9001 standard, you have important assurances that your quality expectations will be met. It is the policy of Allred & Associates to exceed our customers' requirements and expectations in product, performance, and service. 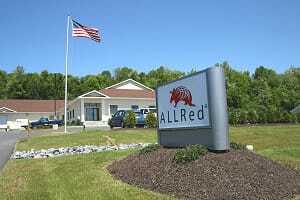 Allred & Associates, Inc. is committed to the continual improvement of our products, processes, and monitoring of customer satisfaction for the assurance of quality by our commitment to the ISO9001 standard.